Whether you're just trying to cut down your energy bill or teach kids about conservation, conversations about energy awareness are important. 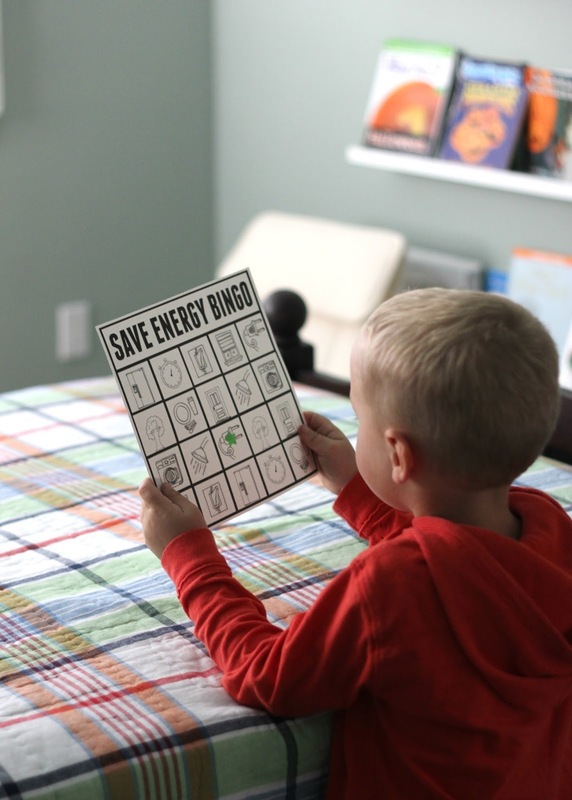 October was Energy Awareness month and we spent some time teaching our kids simple ways that they could help reduce energy use in our home. Focusing on simple and practical ways to conserve energy is a great way to help kids establish good habits at an early age! DOWNLOAD OUR BINGO BOARD HERE. This game requires team effort. 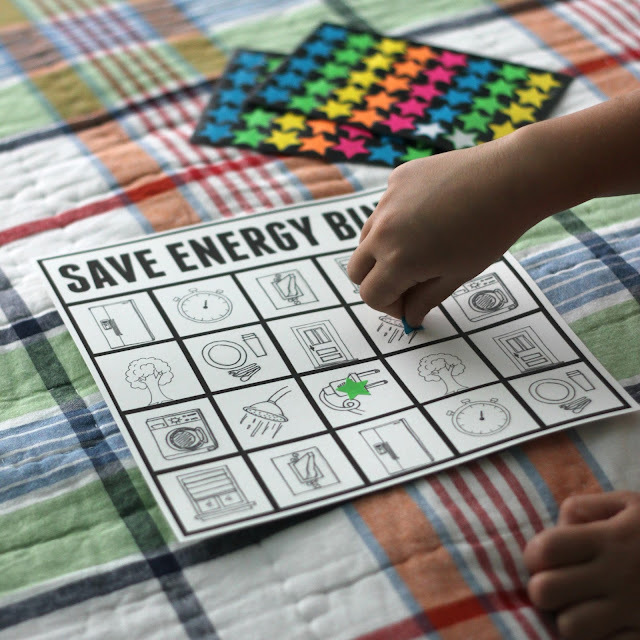 Kids (and adults) in the family work together to accomplish simple energy saving tasks. After a task is accomplished, they can mark it off on the Bingo board (see above). Once the kids work together to get four in a row down or five in a row across they get to have a special family celebration! If you do "black out" as a family and cover up EVERY square during the week you get to do an additional celebration! Some of the Bingo energy conservation ideas were included as a result of what we learned from PG&E’s Home Energy Checkup. Take a short shower instead of a long bath. Wipe dishes instead of rinsing to help use less water. Unplug electronics when they're not in use. Open your shades (instead of using the lights) on winter days. Shave a minute off shower time and save water. Turn off lights when not needed. Turn off lights during peak hours. Plan an outing to stay cool, like a trip to a shaded park or the splash pad. Fill the washer up with a full load of laundry. Don't just wash a few items. Keep doors & windows shut when heat or A/C are on. These tips were gleaned as we sat down to do our PG&E’s Home Energy Checkup on PGE.com. The checkup only took a few minutes and helped my husband and I analyze our energy usage and set some goals. The checkup takes less than 5 minutes and asks you some simple questions about your home and energy usage (see below). After we took the quick survey, we were given several tips for our home and we were also able to check out a variety of other tips that we thought would be useful for our kids down the line. We discovered that we use a lot of hot water at our house. Reducing hot baths and showers and only washing full loads are a few ways we were reminder that we can save energy. As tips popped up during out Home Energy Checkup we could decide if we wanted to try them or disregard them. All of the tips that we chose to focus on were added to our planning/goals page so that we could go back and reference them. Taking a few minutes to learn about our energy use was really beneficial. I love having a few little tweaks on hand now so that we can save more energy. After analyzing what we could do (as adults) to save energy in the house, I loved creating this simple Save Energy Bingo game to help my kids be more conscious. They often leave lights on, leave doors open, or waste hot water taking baths or showers. As we've challenged ourselves to be a little smarter this month, it is fun to see my kids take ownership of being energy efficient in our home. Light Patrol- This officer roams the house and shuts off all of the lights that might have accidentally been left on. To make it more fun, give the officer a pack of sticky notes and have him leave "tickets" on the light switches that were left on as a reminder to turn off the light next time. Water Timer- Give this helper a timer and stick her outside the bathroom when it is tooth brushing or shower time. Make a goal to shave off a minute (or two) off the typical shower or tooth brushing times. Have the timer give awards to the family member who takes the most efficient showers. Power Saver- Cords and unnecessary items are sometimes left plugged in. They can drain power all night long. Before bedtime, have this special helper roam the house and unplug and put away anything that doesn't need to be plugged in. Do you have any other energy saving jobs at your house? 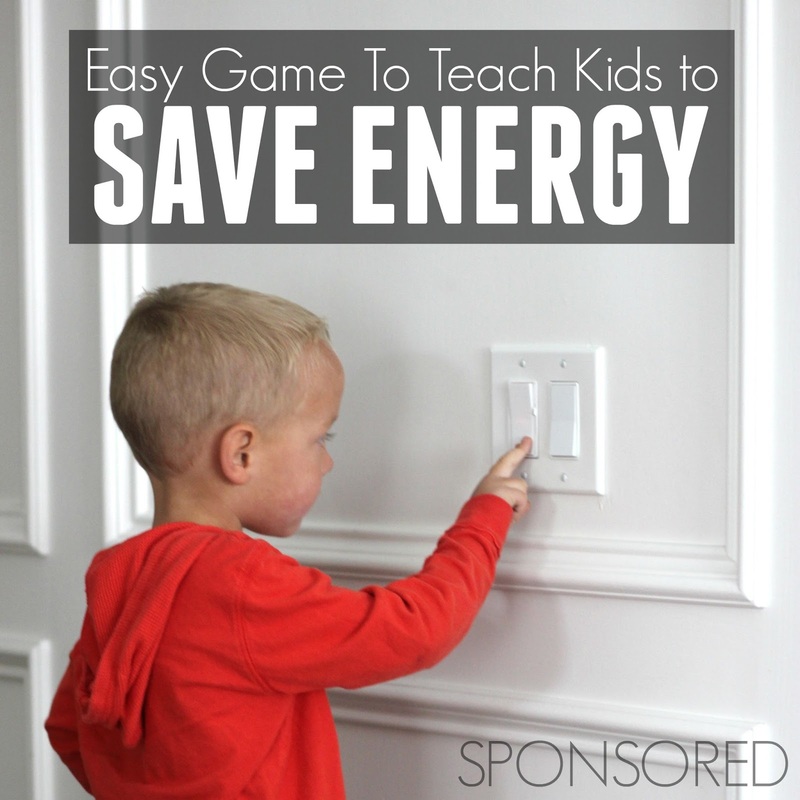 How do you teach your kids to conserve energy? Have you tried PG&E’s Home Energy Checkup yet? 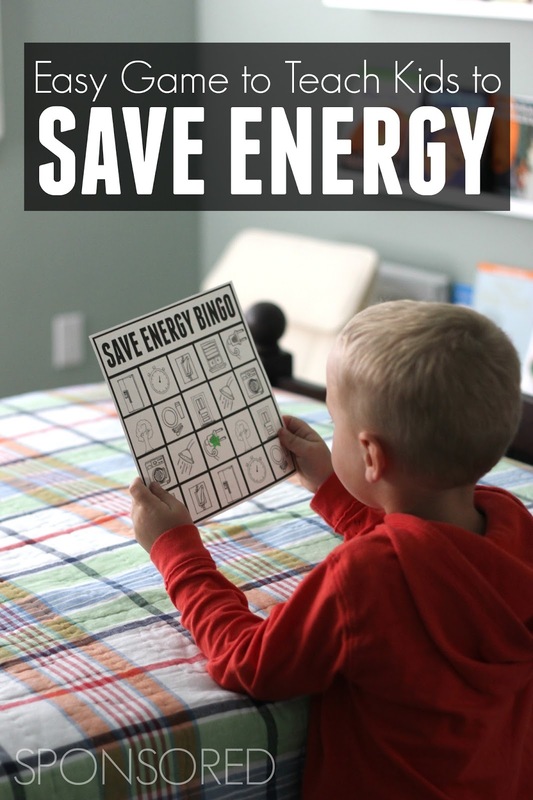 What a great way to teach children about conserving energy! Some other fun ways are to put out a bucket to collect rainwater and letting them help with recycling and keep the money they make for some type of fun family activity. And those reminders to turn off the light when they leave a room will be a reason to thank you later when it becomes an automatic behavior in adulthood.